» This post was published as a guest column in the March 14, 2019 edition of the Northfield News. When thinking about the success of public schools, communities often turn to numbers. They review key indicators such as how many incoming Kindergarten students are prepared for school, the number of students reading proficiently by the end of third grade, mathematics proficiency at the end of 8th Grade, composite ACT scores, and graduation rates. These are all essential measurements to be sure. Northfield Public Schools works hard to ensure every student performs well on those indicators. Northfield also supports another vital indicator of school success: excellent arts programming. As superintendent of schools, I am incredibly proud of our community’s commitment to the arts and our fantastic school programs. This March, we are celebrating the performing arts with the biennial production of the acclaimed Rock and Roll Revival concerts. This exceptional two-hour concert, under the direction of Creative Director Ray Coudret, involves more than 120 high school students. Students sing, play the accompanying music, and dance for 29 musical numbers. 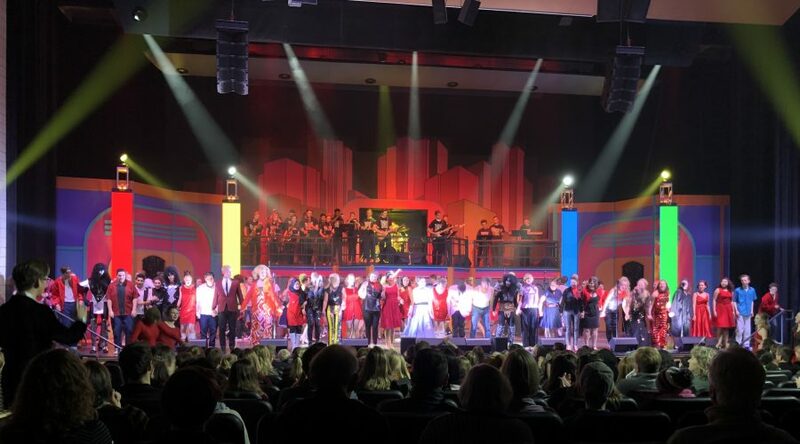 Students create the costumes for the show; plan and execute set changes on a tight schedule; program the video boards that add to the concert experience; and help with the production of the concert. Public schools are a vital part of developing the future workforce. Arts experiences like Rock and Roll Revival are an essential component in achieving that outcome. These learning experiences cannot be replicated in a traditional classroom. Practicing for six sold-out public performances is intense. Every detail is relentlessly reviewed. Even with this level of preparation, there are glitches during the performances when real-time decisions need to be made by the students. These happen during every show and the audience is rarely aware of them. Students learn how to accept both praise and constructive criticism. The public nature of their work applies enough productive stress for the performers to learn how to deliver “under pressure.” These are the skills employers are seeking: hard work, persistence, resilience in the face of adversity, communication skills, and decision-making. So, while we may enjoy being entertained by our incredibly talented teenagers, we are also watching them develop the tools that will lead them to success in the “real world.” I am proud that students who lead Rock and Roll Revival numbers are as respected as their peers starring on athletic teams. It is important to note that Rock and Roll Revival is just one of the numerous arts offerings that prepare students for their futures. We will continue to develop relationships with students, implement our strategic plan, track vital academic performance indicators, hire excellent employees, update curriculum, and manage the District’s finances effectively. We will also prioritize the arts as a way to ensure our students have authentic learning experiences that will do as much, if not more, to prepare them for their lives beyond Northfield Public Schools. I wish I could encourage you to go see the Rock and Roll Revival show but tickets for all performances sold out quickly. That piece of data provides a clear measurement about how Northfield feels about our students’ creative pursuits.